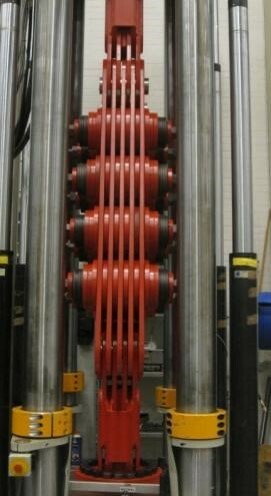 The Multi Unit Friction Damper is Damptech's signature damper, used in many configurations. The V-Bracing was first entrusted to protect two sacred temples in Japan in 2001, using Damptech's original patented rotational damper. 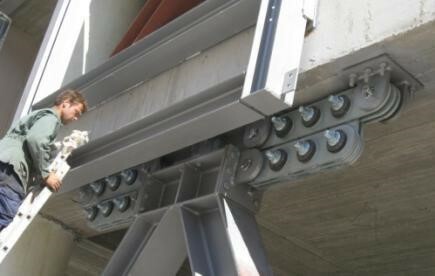 Now we use high capacity dampers in V-shaped Bracing in steel, concrete or wood structures, both new build and retrofit. 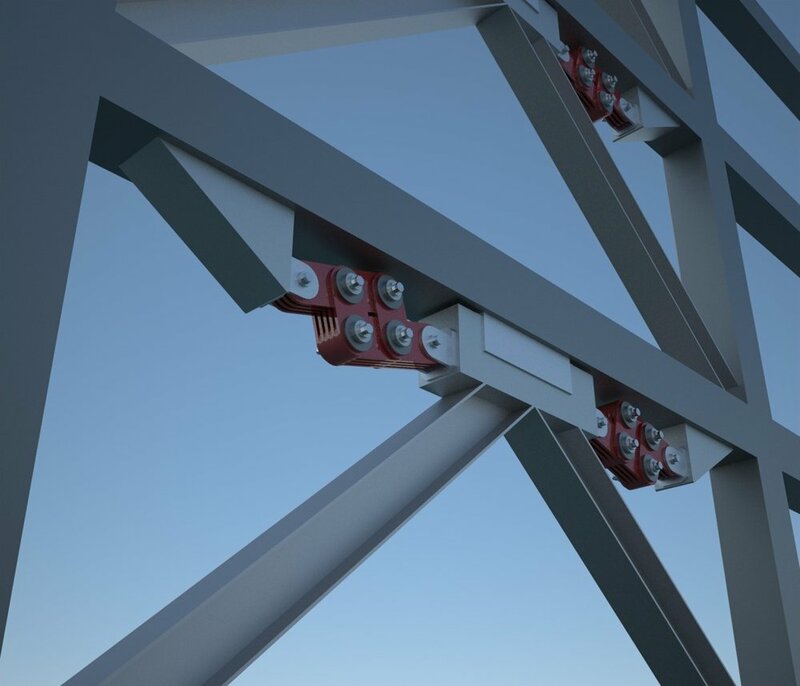 When a lateral external force excites a frame structure with a large force, the top of the frame structure starts to displace horizontally due to this force. 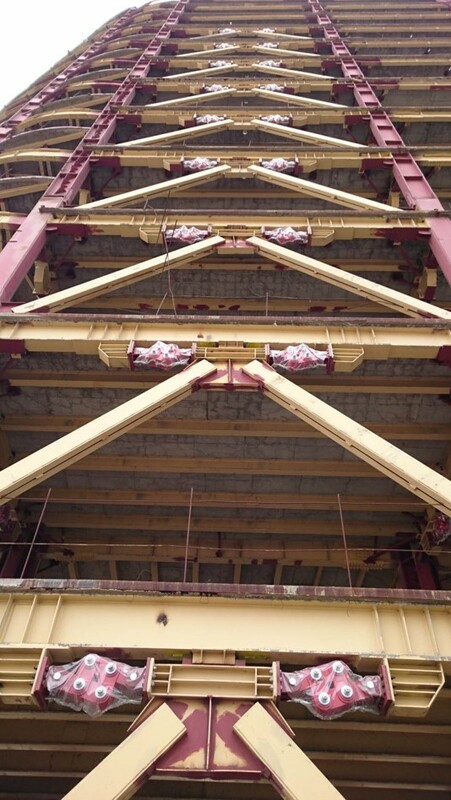 The V-bracing system and the frictional forces developed between the frictional surfaces of steel plates and friction pad materials will resist the horizontal motion. Simulation showing the mechanism how Damptech friction dampers perform with inverted V bracing. When a lateral external force excites a frame structure with a large force, the top of the frame structure starts to displace horizontally due to this force. 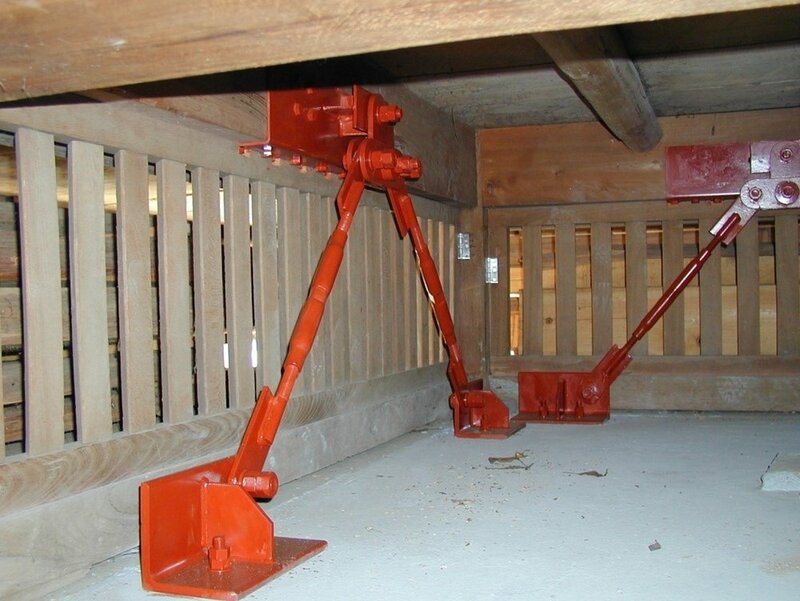 When the frame structure is moved to the right the right damper is lengthened while the left damper is shortened and the dampers dissipate energy. 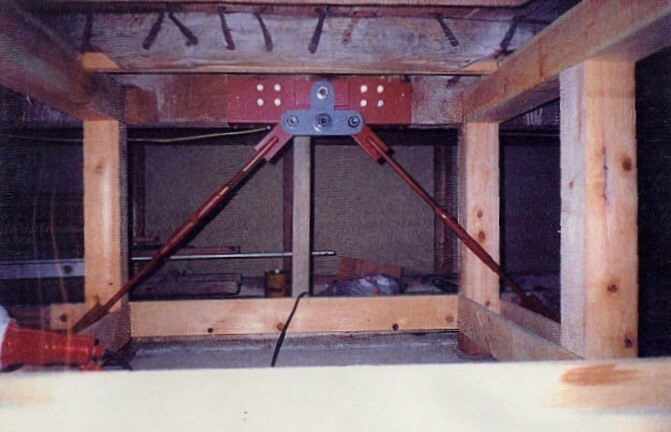 During an earthquake a frame structure in a building will be moved from left to right repeatedly and thus dissipating energy as the dampers are lengthened and shortened. The movement of a single damper device when the frame structure is displaced to the maximum horizontal displacement can be seen in the figure here.